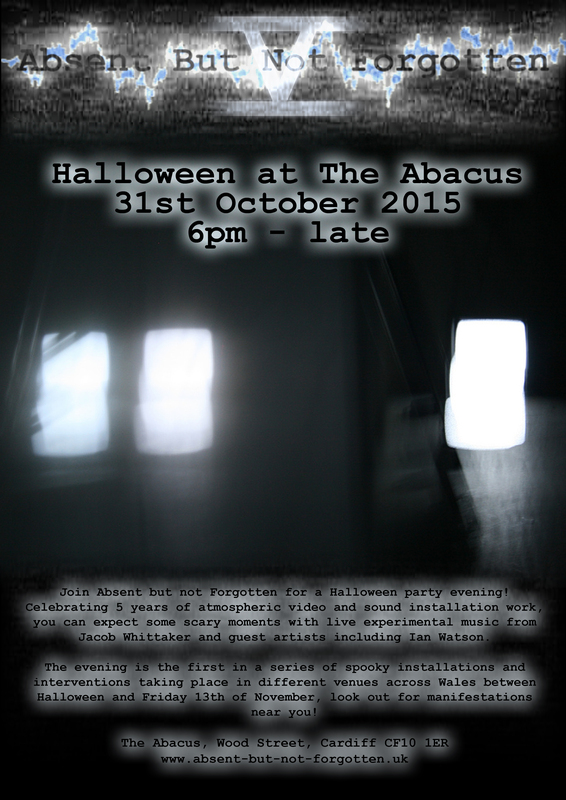 Join Absent But Not Forgotten for a Halloween party evening! Celebrating 5 years of atmospheric video and sound installation work, you can expect some scary moments with live experimental music from Jacob Whittaker and guest artists including Ian Watson. 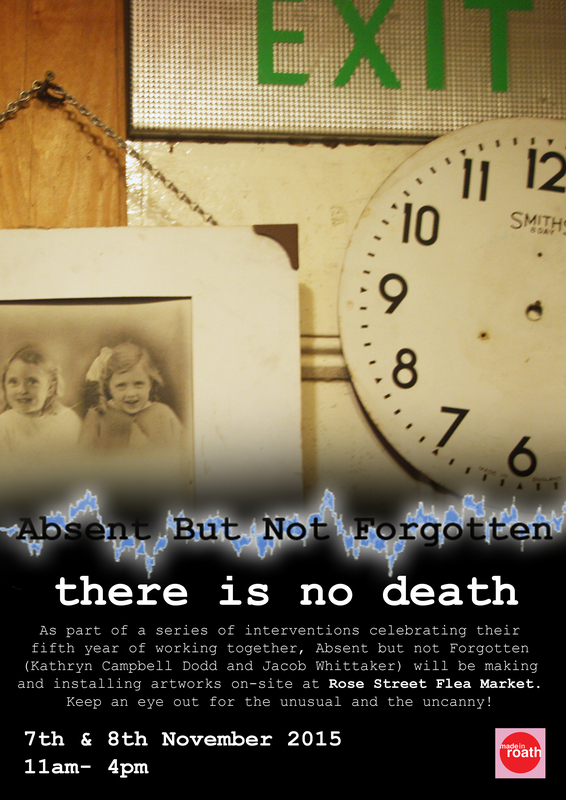 The evening is the first in a series of spooky installations and interventions taking place in different venues across Wales between Halloween and Friday 13th of November, look out for manifestations near you! As part of a series of interventions celebrating their fifth year of working together, Absent but not Forgotten (Kathryn Campbell Dodd and Jacob Whittaker)will be making and installing artworks on-site at Rose Street Flea Market. Keep an eye out for the unusual and the uncanny!